Exporter of a wide range of products which include anilox rollers for flexo printing, bowed spreader roll, hard anodized aluminum rollers, chemical resistant rubber curve bar expander roll, guide roller and brush rolls. 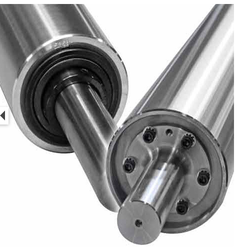 Anilox Rollers for Flexo Printing offered come developed using new technology support and provides for optimum working performance as desired and demanded by the customers. 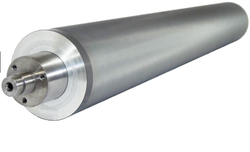 These ceramic anilox rolls alo provide for superior print quality as well as consistent performance as demanded by the customers. Some of its features include superior ink release; exceptional print quality; consistent print output; a superior surface for reducing cell wall porosity; superior cell profiles; optimum line screen definitions and others. 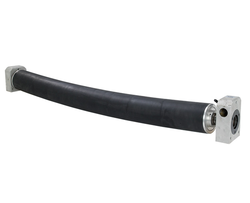 Bowed Spreader Roll offered also known by the names of Curve Bar Expander, Banana Roll, Camber Roll and others and can be provided with options of different surface coatings like hard chrome surface, rubber surface as well as with the support of Teflon covering for meeting the demands of non-sticking applications. Support of worm wheel for precise adjusting of warp angle; allows for maximum removing of wrinkle, slack edges, spreading and slit separation; finding use in industry sectors like Textile processing machines, Paper Industries, and others. Hard Anodized Aluminum Rollers offered comprise a wide range that comes fabricated in the superior grade hard anodized aluminum metal finish so as to provide for consistent as well as long lasting working performance. Further, these rolls come with high-temperature tolerance as well as provide for minimal wear & tear. 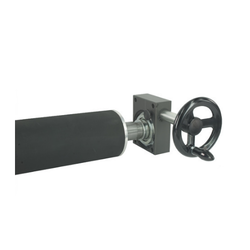 Some of its features include available in the highly durable finish; choice of different sizes, options of different coating support to prevent corrosion; rollers are in compliance with international standards. Chemical Resistant Rubber Curve Bar Expander Roll offered provide for optimum functional support and support the demands of effective removal of wrinkles from Textile processing machines like Bleaching machines, Drying Ranges, Calendars, Bow weft straighter among others. 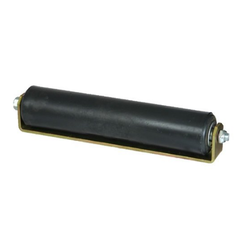 Guide Roller offered provide for excellent quality output and can be made available in different material finishes like M.S, rubber,Aluminium, hard anodized, hard chrome plated and others. 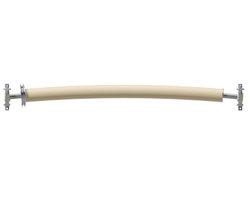 Further, our expertise lies in making these available in different length and diameter options as per the specific process requirements. Some of its features include made available at affordable prices; finding wide usage in paper industry, support the needs of keeping fabrics running properly in the center of rolls over which it travels, perfect dimensions, reliable performance and longer functioning life. 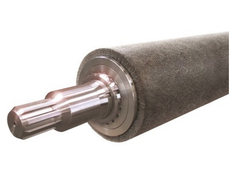 Brush Rolls offered can be made available by us with the support of ebonite coating so as to avoid resting on steel surface as well as with options of different brush types like of nylon, synthetic material, animal hair and others. These find use in paper mills for the production of high gloss paper that requires a specified level of gloss and smoothness post surface treatment. Some of its features include based on unique and superior brushing application technology for optimum gloss and smoothness; supports improving surface finish, fixing arrangement through the universal coupling, brush roller pivoting feature bearing support for easy changing of brush rollers. Bowed Roll offered comes in quality construction finish also known by names of Curve bar Expander, Spreader Roll, Bowed Roll, Banana Roll, Wrinkle removing Rolls, Camber Roll. Here, our expertise lies in making these available in different surface finishes like hard chrome, rubber surface as well as with Teflon covering support for use in non-sticking applications.